I loved it: a linen-covered cornice board edged with nail head trim. I have cornice boards in my family room and this idea screamed, “Carla, do this!” So what did Carla do, she got on it! First I removed the plaid fabric that was draped over checked fabric and then called a professional. She came over, assessed the project, and promptly quoted me a price that was not only shocking but borderline insulting. Really, I thought. To cover something that’s already in place? Then insult met injury as she proceeded to give suggestions on other parts of my room. I felt like I had taken my car in for an oil change and was told I needed a new transmission. Not happy. Not impressed. I kindly thanked her for coming over and extended the obligatory “I’ll be in touch.” Then I put my mind to work on Plan B. Enter my friend JZ. JZ is not a rapper, but an excellent seamstress. I told her my idea, she said it was sooooo do-able, and that was that. We bought some wonderful upholstery fabric, went to work, and at the end of the day I had two fabulous “new” cornice boards. Back to the “professional.” Although I didn’t appreciate how proud she was of her abilities and cost of putting them to work for me, I did take her suggestion that I add more texture to my room to heart. This did surprise me a bit though, as I feel I have lots of color and pattern going on in what is a somewhat small room, but okay, I thought, I’ll check it out. I could have consulted my college friend Christie who is a professional designer and so talented, but being the computer hack that I am, I went straight on-line. What I found was something I wasn’t crazy about. I Googled “texture in rooms” and one after another, the images were of rooms I didn’t find very appealing. I dug deeper though and discovered that texture can be done subtly and traditionally. Now we were talking. Think of texture as “touchable.” Leather is touchable. Burlap is touchable. Think also of contrasts through a variety of textures. Soft and rough. Shiny and dull. 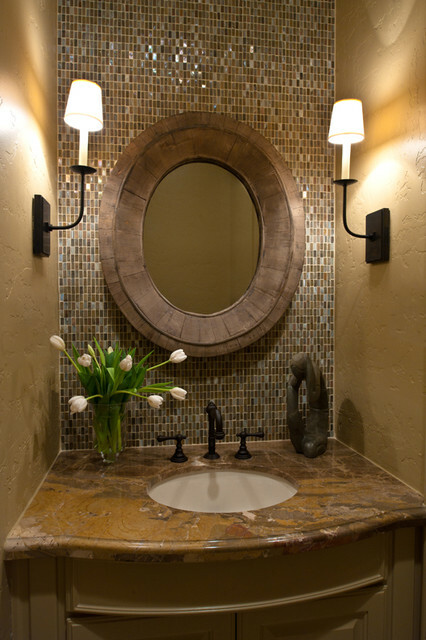 Texture is such an easy way to make a room interesting, especially if you are not big on color. It also adds personality to a space. It adds flair. Furniture is one way to incorporate texture into a room, but accessorizing is a much more affordable and less obvious way of doing so. Hang a throw over the back of a chair. Place some glass on a wooden table. Add a rug. Plants scream texture and you can add another a favorite of mine: anything tufted such as a sofa, headboard, even a fun ottoman. I follow a blog called “The Inspired Room” and came across some ideas regarding texture that I could wrap my decorating brain around. Melissa recommends adding layers of texture and says that the key to a “beautifully warm and comfortable home” is to add layers to every room. She also says that when a room lacks those layers of texture, it can fall flat, regardless of any other décor or expensive accessories you’ve put in it. Yikes! I had my work cut out for me! Fears aside and mouse in hand, I found that adding texture has many benefits. It adds dimension to a room and appeals to both our visual and tactile senses. In short, it makes a room more interesting and invites guests to touch and feel. You can do this by adding rugs, an interesting paint finish, attention-grabbing art, a unique piece of furniture, or an array of bold fabrics. But wait, except for a rug (which my husband is completely against) and an interesting paint finish (which I’m not a big fan of), I have all of this. Growing up in Santa Fe made me an art lover and I have lots of it throughout our home. I feel I also have plenty of color and pattern through a plaid wing-back chair, a floral comfy chair and ottoman, a ticking sofa, a wood and iron table, a painted end table, and my husband’s big leather chair. Maybe I’ll add some fun pillows, but anything else puts me smack dab on the fence. While I decide, I thought I’d share with you some ways you might want to add texture to your surroundings, whether they be your home, office, or anywhere else. Depending on your style, I’ve put together some personal tips and some from “Better Homes & Gardens.” Enjoy and let me know if you have any fabulous ideas! If you want to establish elegance and have a traditional style, dress up your décor with woven wools, smooth silks, hand-tufted rugs, fabric trims, gilded frames, cut crystal and polished wood. 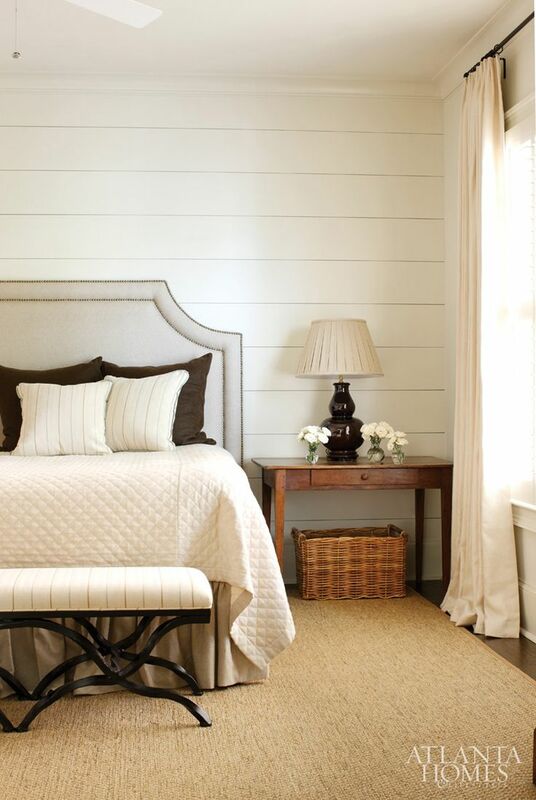 For a country style, your goal should be to establish comfort. By adding layered rugs, chenille, ticking fabrics, weathered woods, and dimensional artwork you will be well on your way to creating an inviting interior. Note: It’s important to know that “modern” means a period of time regarding design and “contemporary” refers to what’s in and what’s trendy. They are two completely different styles. A modern approach is big on making an impact, which you can do by incorporating shag rugs, smooth leather, sparse fabrics, light woods, glossy surfaces and shiny metals into the room. Ambiance and charm are key here. 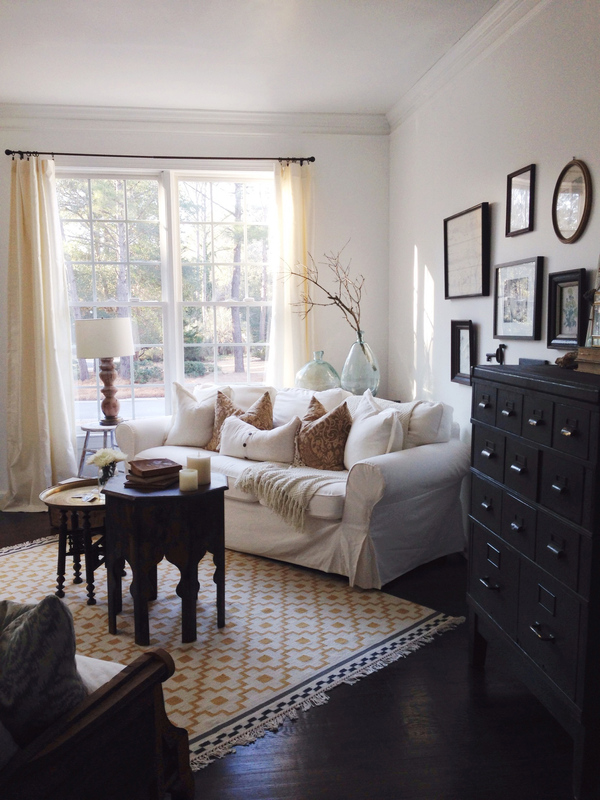 Hand-hooked rugs, embroidered fabrics, vintage lace, painted furniture, wicker, ruffles, and trims all play a big role. Bring the outdoors in by having exposed ceiling beams, lots of raw materials like timber stools and end tables, and unadorned windows as long as the view is a good one. All of the above establish your style, but texture can also set the mood of your room. Looking for a more feminine mood? 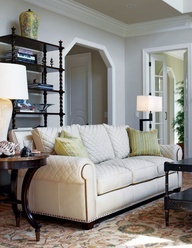 Then choose soft, fine fabrics and embellished furniture. 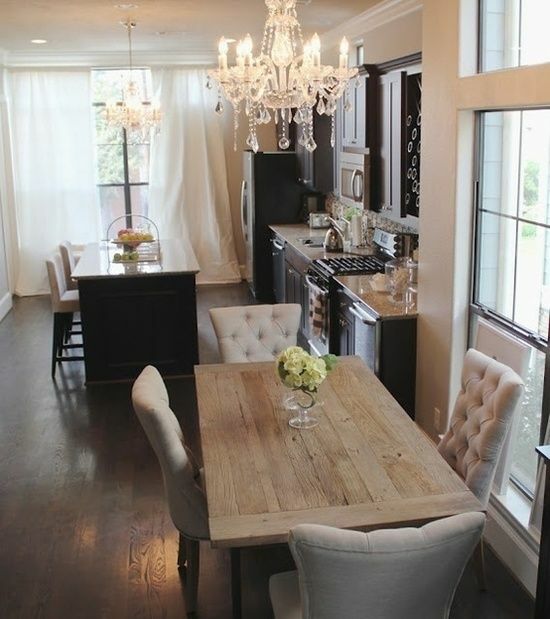 If it’s a masculine feel you’re wanting, use rustic metals and rich woods. Formal can be created with silky pillows and velvety slipcovers while a comfy vibe will include anything fluffy and furry. Raw, natural materials easily add a sense of calm and warmth to a place and are popular in both formal and casual settings. By mixing neutral patterns and textures you can also add depth to your décor and create a room oozing with both charm and polish. BH&G also recommends every room have a focal point, which texture can help create, such as a lattice table, a large piece of art, or even an interesting rug in an otherwise unadorned room. When adding texture, consider combining similar touches like fabrics and trims on pillows or groupings on a coffee table. You can “harmonize” a room by blending comparable characteristics such as naturals and carry it throughout you room, from the window coverings, to the paint color, to lampshades, and accents. You can also repeat textures and patterns. Placing a leather sofa in front of a table sporting stacks of leather books works well, as does setting a wicker basket next to a wicker chair. For real drama, envelop a lovely velvet chair with velvet drapes. Combine painted furniture pieces with upholstered ones or antiques with something modern or contemporary. Or, dress up or dress down any cabinet or dresser simply by adding the right drawer pulls. Still, you may want to pick something rough like a sturdy leather sofa and pile it high with satiny pillows. Finally, how about placing a gorgeous antique sideboard in an otherwise informal room? The possibilities are endless. Windows. This is what got me started! 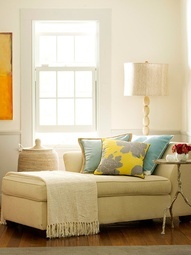 I love window treatments and was happy to learn that the right ones can add texture to a room. 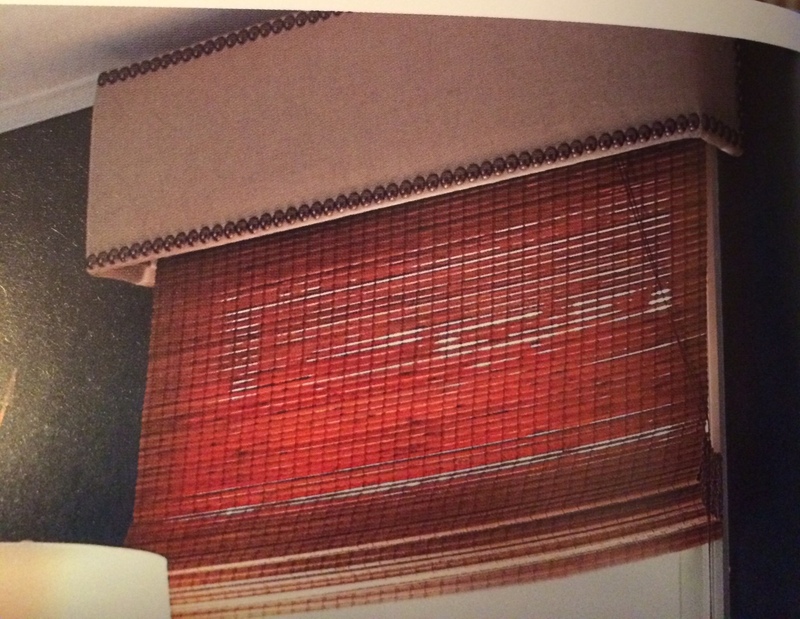 Fabric is my treatment of choice, but textured blinds, flowing sheers, or heavy plantation shutters all do the trick. Pick your style and always remember they are flexible and changeable. Rugs. 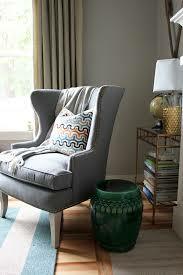 In and of themselves, rugs are texture and they come in an assortment of fabrics and varieties. 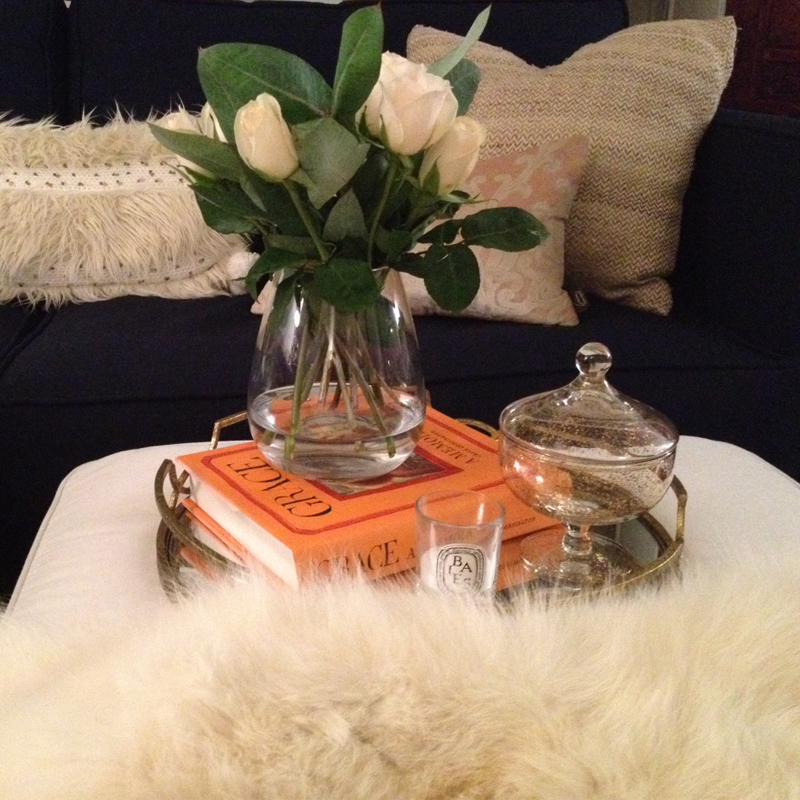 Go crazy with an animal print or fur rug or stay neutral with something in jute or sisal. Walls. This is where you can have some real fun and add some tangible interest to a room. Bead board and Wainscoting. My favorites. Wallpaper. Yep, it’s back and in a big way. Grass cloth. Yes, please! Even painted paneling, but not your momma’s paneling. I’m talking shiplap and contemporary. Other ideas include adding molding, ornate (not country) stenciling, and one of my favorites: exposed brick. Don’t stop at the common areas of your home either. Bedrooms naturally lend themselves to texture. In fact, beds with layers upon layers of texture are the coziest of all. Think about adding a chenille or other touchable throw on top of your duvet cover and satiny sheets. 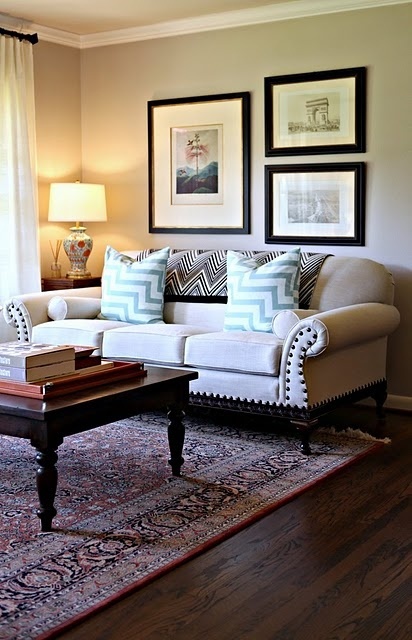 Toss in some interesting throw pillows and revel in the results. Bottom line, be bold and don’t be afraid to have fun with texture but keep in mind that too much of it can be overwhelming so be careful and don’t go overboard. Also, remember that the more textured and patterned an object is, the heavier it will feel and the bigger it will appear. As with any décor, don’t overdo it and consult a professional if you can. 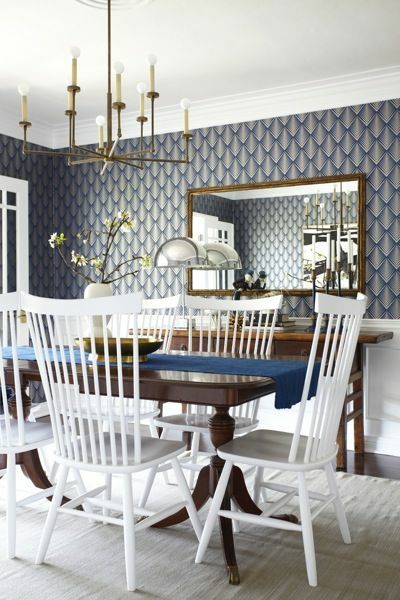 Texture: you can do it and it will do wonders for a room!